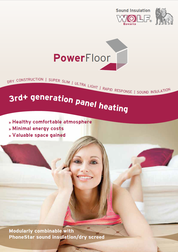 PowerFloor is a modern, ultra slim and light underfloor heating system in drywall installation. 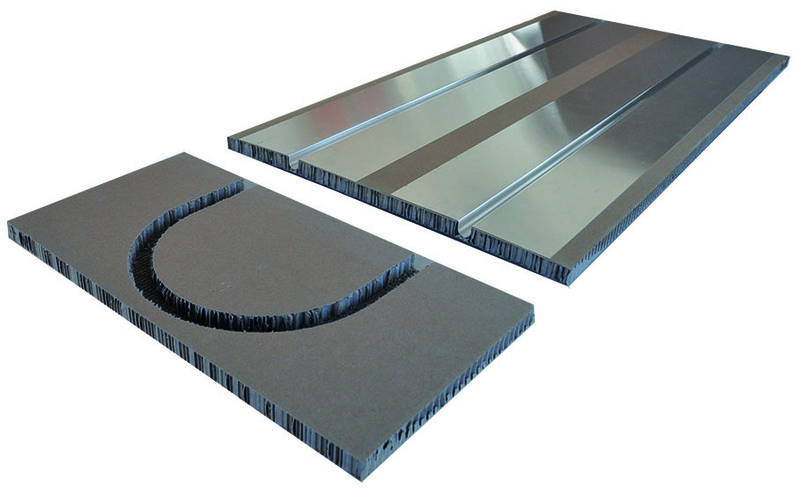 The exclusive aluminium heat conduction plate ensures a rapid and homogenous transfer of warmth. 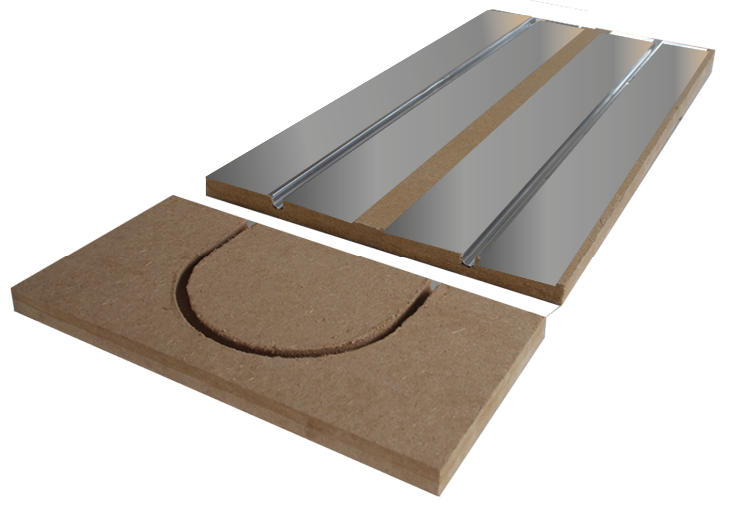 With a thinness of 20 or 30 mm, the heating system fits perfectly to our sound insulation board PhoneStar and goes with our business concept to provide ultra slim floor constructions. The underfloor heating system PowerFloor can be run by renewable energies. Click here to get information about the different construction options. Furthermore PowerFloor is easy and quick to install. 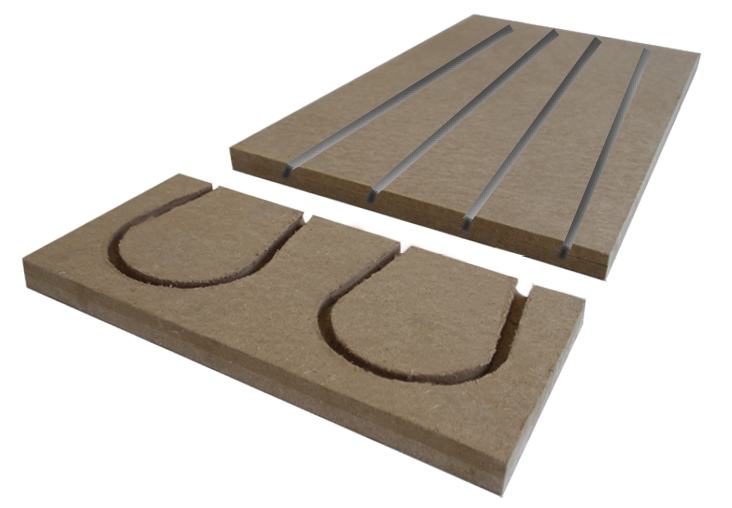 With a thinness of 20 or 24 mm, the heating system fits perfectly to our sound insulation board PhoneStar and supports our business concept to provide ultra slim floor constructions. If you have a concrete building project and you are looking for solutions tailored to your needs, please feel free to use our planning folder and display your structure with all relevant data. 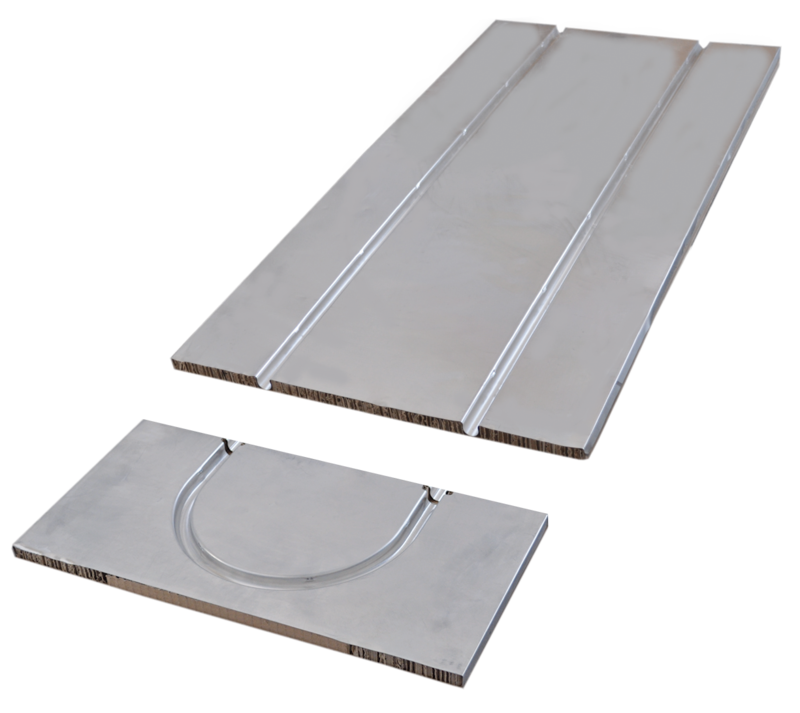 The exclusive aluminum sheets heat up 150 times faster than cement screed and distributes the warmth evenly. 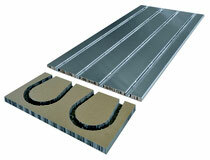 This prevents cold spots on the floor and ensures a very quick heating response. Wolf PowerFloor likewise the adaptability of our other systems allows our customers to improve energy efficiency and lower their energy costs. The dry floor construction allows the immediate application of the final covering. Long dry out times are no longer required. The underfloor heating system PowerFloor can be run by renewable energies.